Nemidon Chafe Block is a soothing, unique, patented, natural marine gel that helps prevent chafing of the skin. It is made with seaweed colloids that allow the skin pores to breathe while providing a natural barrier against chafing. Chafe Block will remain on the skin through sweating and cold water. If swimming, Chafe Block will stay on the skin. Once dry, it will provide protection again. 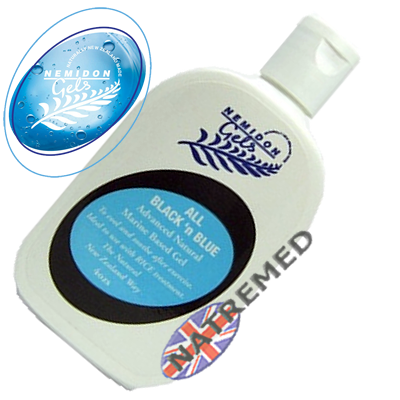 Nemidon All Black n Blue A unique natural patented marine gel blended with nature’s finest botanicals. Fast working and clean to use ideal for your everyday lifestyle. Use immediately before AND after strenuous exercise. All Black 'n Blue may assist in the management of soft tissue trauma, management of sprains, relief of muscular aches and pains. Nemidon EZE is designed for use after initial treatment with Nemidon All Black ’n Blue to rejuvenate and invigorate stressed and overworked muscles and joints. Blended with Natures finest botanicals and essential oils, it contains no petro-chemicals, or alcohol, is not tested on animals, and has a pleasant lavender scent. The unique neutral seaweed colloids are fast-acting and work to penetrate deeply specially formulated for chronic injuries ‘EZE’ penetrates deeper to invigorate stressed and overworked muscles. 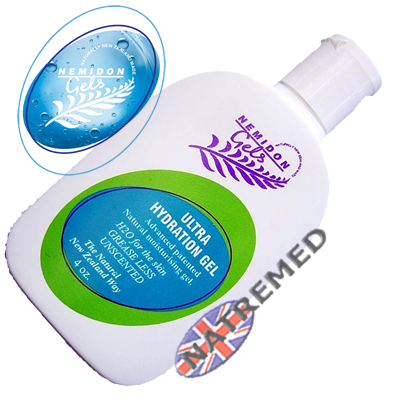 Nemidon Ultra Hydration Gel: Moisturises and helps maintain flexibility and elasticity of the skin. Formulated from seaweed colloids this rapidly hydrating gel actually allows skin pores to breathe. Ultra Hydration is unscented and non greasy. Nemidon Ultra Hydration Gel uses seaweed polysaccharide which, when it dries, forms an invisible film over the skin. As the film dries, it appears to shrink, thus forming a tighter film making contact with only the highest parts of the skin. This moisturizer is almost unique in that the pores remain essentially unaffected by the moisturizer. 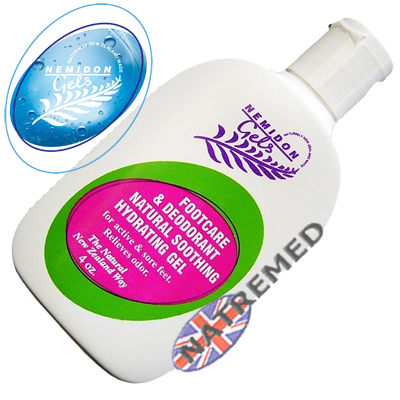 Nemidon Footcare and Deodorant Moisturiser Gel: is a long lasting moisturiser for dry cracked skin of the feet. 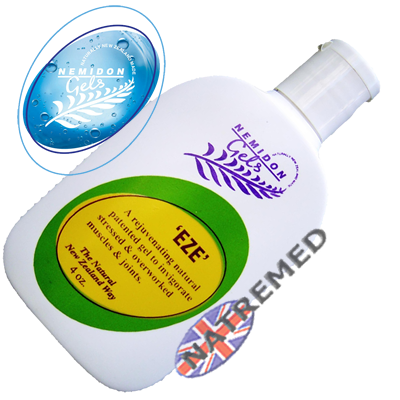 It contains natural plant extracts and essential oils of Lemongrass, Lavender, Tea tree and Rosemary. This rapidly hydrating gel promotes elasticity of the skin, relieves foot odour, cools and soothes tired aching feet and legs. Non-greasy and fresh smelling, your feet will feel soft and fresh. Diabetes Associations stress how important it is to keep skin moisturized, dry and clean. Rather a contradiction in words, yet Nemidon Footcare Deodorant and Ultra-hydration Gel do perform all these tasks in one. These products will moisturise quickly, leaving a clean dry skin. Both Gels assist to prevent infection by maintaining skin integrity, plus Footcare Deodorant Gel has the added advantage of Tea tree and Lavender, essential oils which assist mild bacterial and fungal infections. Nemidon marine gel is a 100% natural, New Zealand-made scientific breakthrough. This revolutionary gel hydrates the skin, helps prevent injury, maintains the skin’s integrity, accelerates recovery, and provides lasting relief to sufferers of both temporary and chronic skin, muscle and joint conditions. The gel is scientifically proven in medical double-blind studies to be effective and long lasting. Recommended by top international professionals across both sporting and health care fields, there is no other product on the market like it. View our product pages or product overview page to purchase.